A $120 million loan has been agreed between the Indian government and the Asian Development Bank (ADB) to complete double-tracking and electrification of some of the country’s busiest rail corridors. The loan is the third tranche of a $500 million financing facility for the Railway Sector Investment Program approved by ADB’s board in 2011. It will be used to complete the ongoing works that have already been started. The investment programme is targeting busy freight and passenger routes in the states of Andhra Pradesh, Chhattisgarh, Karnataka, Maharashtra, and Odisha, including the “Golden Quadrilateral” corridor that connects Chennai, Kolkata, Mumbai, and New Delhi. The doubling of rail sections is being implemented along the following sections: Daund-Titlagarh, Sambalpur-Titlagarh, Raipur-Titlagarh, and Hospet-Tinaighat, while electrification is being undertaken along the 641km Pune-Wadi Guntakal section. 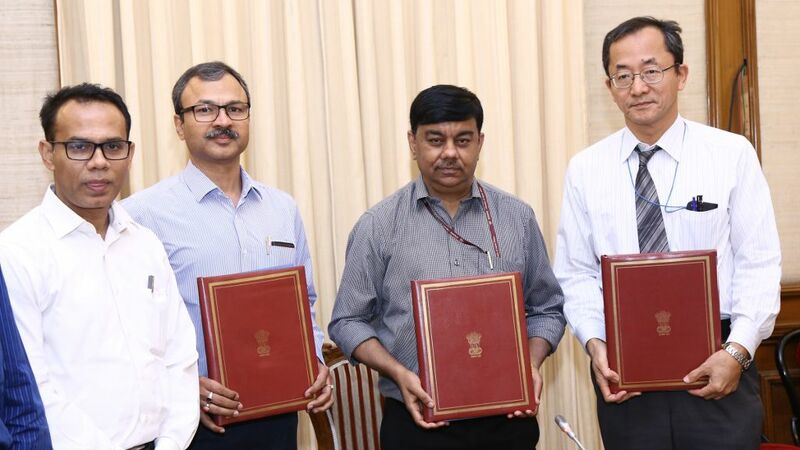 ADB Country Director for India Kenichi Yokoyama said: “Funding for the project’s third tranche will contribute toward achieving the overall program outputs of double-tracking about 840km of rail routes and electrification of 640km of tracks along high density corridors.